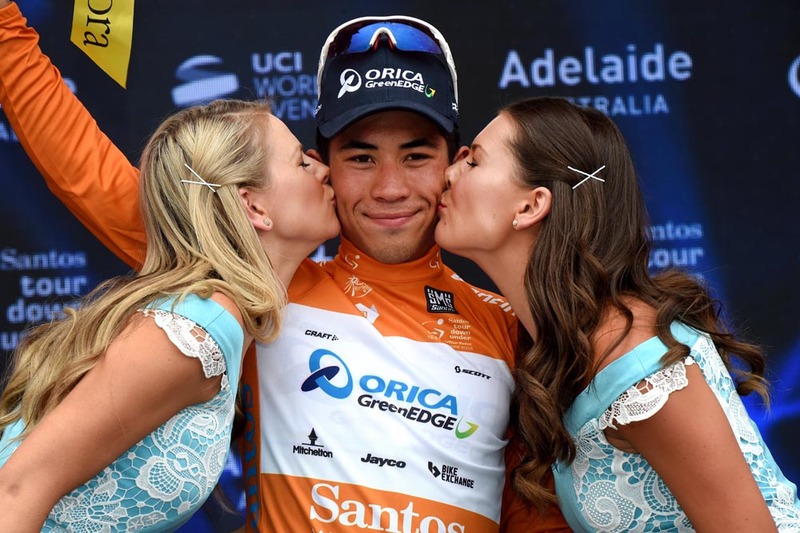 Caleb Ewan (Orica-GreenEdge) combined a fast turn of speed and quick thinking to navigate his way through a hot and blustery final and win the first stage of the Tour Down Under today. The 21-year-old beat Mark Renshaw (Dimension Data) and Wouter Wippert (Cannondale) in a bunch sprint with Britain’s Adam Blythe (Tinkoff) and Ben Swift (Sky) finishing fifth and seventh, respectively. 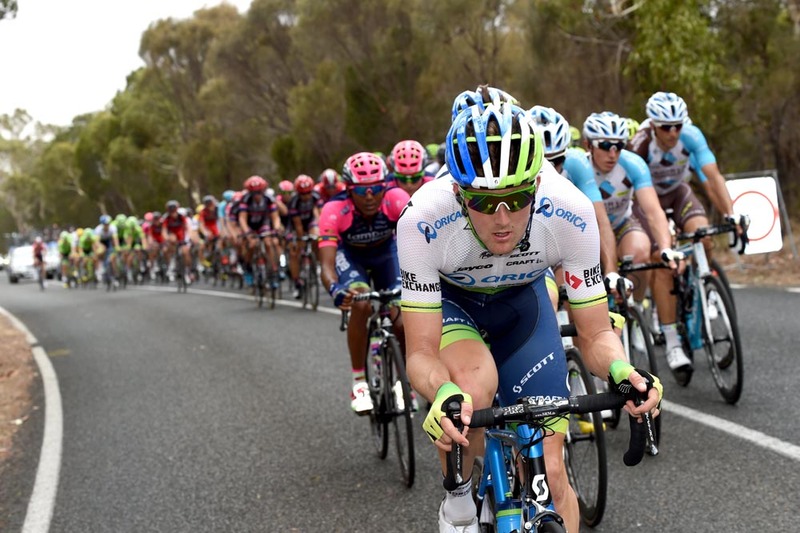 The aerodynamic Ewan also claimed the first leader’s jersey of the race, which his Orica-GreenEdge team-mate and overall contender Simon Gerrans is hopeful of wearing at the end of the week. “It’s a really proud moment for me,” Ewan said. “I’ve never led a WorldTour race before and to lead my first one in my home country is a real honour. Orica-GreenEdge controlled the peloton for much of the day, not allowing a three-man break including Sean Lake (UniSA), Alexis Gougeard (Ag2r La Mondiale) and Martijn Keizer (LottoNL-Jumbo) more than two minutes. The task was not made easier with the mercury hitting 40 degrees Celsius despite overcast conditions. Sky stayed hidden in the bunch for most of the 130.8km stage from Prospect to Lyndoch before it began to move up with about 15km to go in effort to lead-out Swift to victory. “We tried to chill out at the back a little bit more and be relaxed about the racing. It kind of worked as well,” Ian Stannard said. Lake was the last man to inevitably be caught within the final 10km as Orica-GreenEdge, Sky and Dimension Data began to mobilise their trains at the front of the bunch. 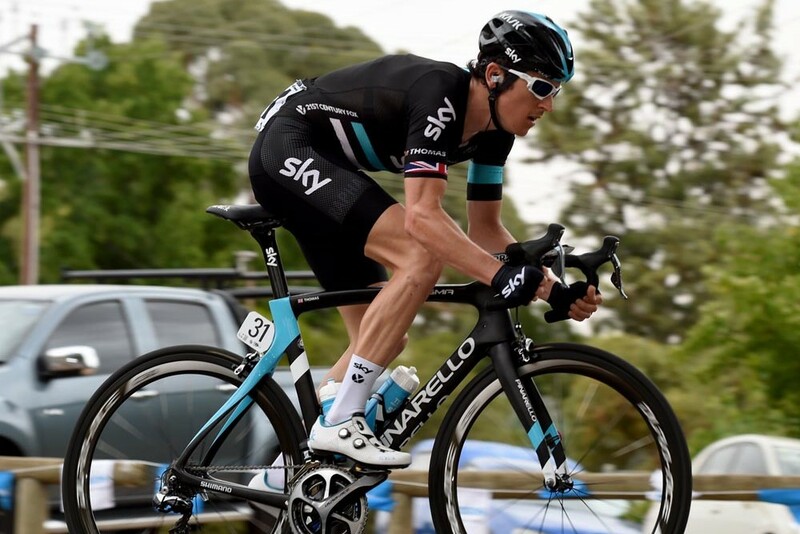 “It was pretty windy and the heat as well, it was really muggy,” Stannard said. “It felt like you were suffering all day and had no go but we got together at the end, the last 10K with the crosswind from the left there, and probably got the best position on the road. Stannard did his turn and pulled off with about two kilometres remaining as Sky kept the tempo high with national champion Peter Kennaugh leading the peloton into the final kilometre. Swift was in prime position as Orica-GreenEdge pilot Daryl Impey guided Ewan as close as he could to the formation that lost ground in the closing metres. “It was sketchy,” Blythe said. “Sky took it up on the right hand side, which was quite good, I tried to get behind them, and then the last kilometre Renshaw came up and there was a lot of pushing. “I think it was 400m to go I saw my opportunity on the left, that took me to about 300m to go and then I had a bit of speed so hit out and went for it. 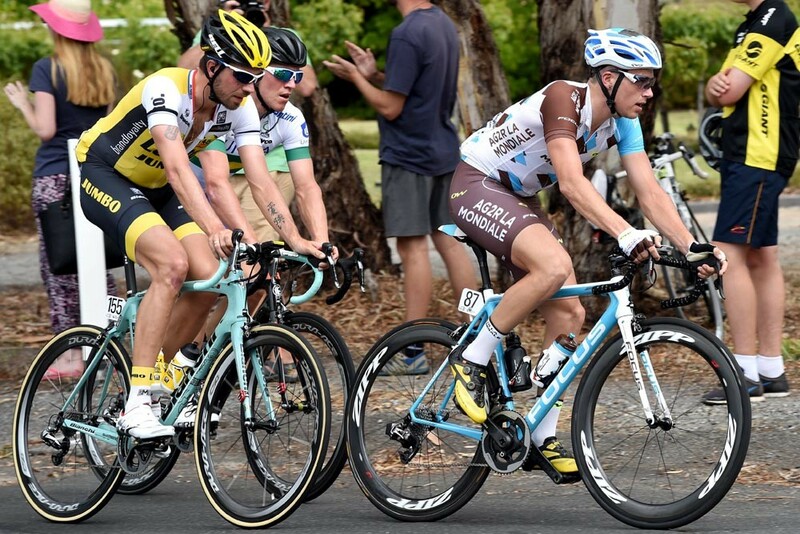 The race continues tomorrow with the stage two from Unley to Stirling.